Lose weight – and keep it off for good. Love life... Live life... Enjoy life..
Find out how even small changes in diet and lifestyle can prevent life threatening diseases. Food is vital to life. It is also enjoyable, comforting, a means of social interaction, fuel for our bodies and also fuel for our minds. The food we eat is what makes us what we are. We believe in empowering that food to help prevent life threatening illnesses, to protect us from infections that drag us down, to give us energy, maintain good health, and boost our immunity. If you feel you are not living life to the full and achieving your true personal potential you have come to the right place. If you struggle through each day without feeling that surge of energy and vitality that makes such a difference, read on. If you suffer from any of the following complaints simple, small changes to your diet and lifestyle, guided by professionals with time, knowledge and experience to share with you, could change your life immeasurably for the better. You will never look back. Mood swings, stress and anxieties. Hippocrate’s quote is often used lightly but although more than 2000 years old it stands true today more than ever before. Following a weight loss diet often ends in failure and a regain of any weight lost. If your aim is to lose weight then believe it, you can, and can lose it permanently. You can forget all about dieting and what you should and shouldn’t eat with a meal plan together with an exercise routine designed specifically for you. You can achieve your goals because we will guide you and support you all the way, ease you through difficult times, get you on the move again when your efforts are not producing results fast enough. To guarantee success we ask you to understand and accept the following; you cannot achieve permanent weight loss healthily without including an exercise program with your weight reducing diet. In the same way, you cannot achieve a youthful toned body with exercise alone, without following a healthy balanced diet. The two go together. The power of combining food with exercise will enable you to reach your weight and fitness goals, will make excess weight and yo yo dieting a thing of the past, will make you look good, feel more energetic and full of vitality. It has to be satisfying, if you constantly feel hunger keeping to a diet is asking too much. It has to be sustainable, it should become part of your everyday life – not a temporary regime. It must adapt to your lifestyle, that means we include foods you like and which are eaten together with your family, with the minimum of special shopping or lengthy preparation. It needs to be easy to follow, have clear cut instructions on methods of cooking and portion sizes. It has to fit in with your daily life whether you are at home during the day and eating with your kids, or working and need to grab a quick snack at lunch time, entertaining friends a lot, never time to stop and prepare a healthy meal. If all these requirements are in place then it will produce results. 1. Forget about dieting. Adopt a good nutrition plan designed specifically for you and welcome it as a life change because it will change your life. 2. 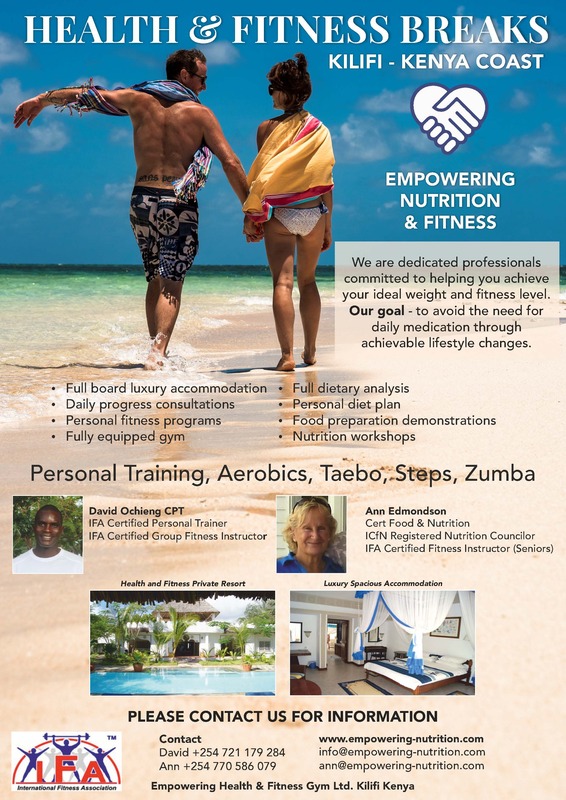 Empower that plan with an exercise program which, like the meal plan will be designed especially for you, to fit in with your lifestyle and your level of fitness. No slogging away at the gym but a routine you can do at home that will not only help the weight come off but will improve your fitness, tone your body and give you a feeling of well being that will help you to enjoy working towards your goal. Why is exercise so important? our brain produces chemicals that are natural energisers. Exercise is a very effective way of reducing stress, and dieting to lose weight is stressful. Exercise has the same effect as many pick me ups prescribed by doctors when we struggle through each day cloaked in lethargy. Chemicals produced by the brain during and after exercise produce a feeling of well being, eliminates mood swings, calms anxieties, cuts cravings and helps us get daily problems in perspective. Steady weight loss and with it a feel good factor as your looks and your health improve will be your answer to success.